As part of a divorce case, Miami attorney Kate McQuean (Cindy Crawford) tries to impound an offshore vessel in lieu of alimony. As it happens, the ship serves as headquarters for an ex-KGB operative who's now a money launderer and head of a terrorist group. Macho cop Max Kilpatrick (William Baldwin) is dispatched to safeguard Kate when she finds herself with a bounty on her head, and love blossoms as the duo dodges bullets and explosions. 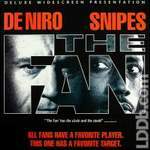 "The Fan" follows obsessive knife salesman Gil Renard (Robert De Niro), who wants to turn things around for his favorite ballplayer, a slumping, high-priced star for the San Francisco Giants, Bobby Rayburn (Wesley Snipes). De Niro befriends Snipes, but soon after, Snipes must struggle to keep the psychotic De Niro at bay. 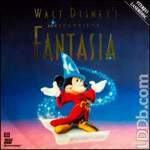 Many consider Walt Disney's best achievement in the field of animation to be this series of animated fantasies set to classical music, conducted by Leopold Stokowski. Panned when it opened, it's now a classic. Detective Russell Logan (Lou Diamond Phillips) breathes a sigh of relief when the serial murderer the Pentagram Killer (Jeff Kober) is finally caught and executed. But it turns out the detective's work is far from finished when he discovers that the killer has transferred his soul into another living body. With the help of a psychic (Tracy Griffith), Logan toils at the nearly impossible task of capturing a murderer with an ever-changing identity. A crooked foursome commits the heist of the century and is about to get away ... until the London police arrest one of them. Can the three on the lam (Michael Palin, Jamie Lee Curtis and Kevin Kline) persuade their comrade's lawyer (John Cleese) to reveal the stolen loot's location? Laugh-out-loud funny, A Fish Called Wanda explores the notion of "honor" among thieves. The first true Spaghetti Western follows the exploits of a nameless drifter (Clint Eastwood) who wanders into a town torn apart by greed, corruption, and revenge. The clever, tough-talking gunslinger then plays the town's two feuding families off each other to his own benefit. As members of each family are planted in the ground, the gold in his pockets gets heavier and heavier. Winner of six Academy Awards, including Best Picture, director Robert Zemeckis's charming blend of comedy and drama stars Tom Hanks as Forrest Gump, a simpleminded man who finds himself in the middle of nearly every major event of the 1960s and '70s. Along the way, he makes friends, changes lives and searches for a soul mate. Hanks nabbed a Best Actor Oscar for his remarkable portrayal of the unsophisticated yet surprisingly wise Forrest. Divorced ex-con Johnny (Al Pacino) becomes a cook at a Manhattan café, where he falls in love with Frankie (Michelle Pfeiffer), a beautiful waitress with a painful past. Despite the fact that she wants nothing to do with him, Johnny does everything he can to win Frankie's heart. Based on a play by Terrence McNally, director Garry Marshall's touching romantic comedy co-stars Hector Elizondo, Kate Nelligan and Nathan Lane. 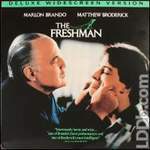 Clark Kellogg (Matthew Broderick) had no idea film school would land him in the clutches of bona fide godfather Carmine Sabatini (Marlon Brando), but that's what happens when a thug robs Clark 20 minutes after he sets foot in New York City. Soon Clark gets enmeshed in Carmine's affairs -- including delivery of a Komodo dragon to the mafioso's chef, who intends to dish up the big lizard at a "gourmet club" specializing in endangered species! Chow Yun-Fat is at his absolute best as an honorable thief among thieves in this over-the-top crimeworld actioner. When he halfheartedly associates with a band of thieving lowlifes, a double cross inevitably results and revenge inevitably follows.